Finally a Men's Tie Dye tank top. 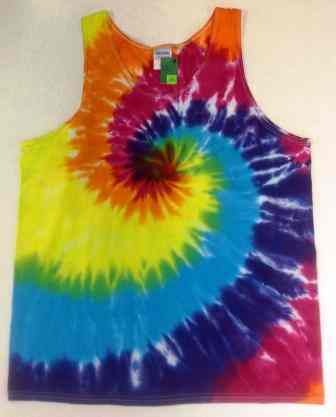 We are using Gildan brand tank tops and dyeing them in a rainbow spiral tie dye pattern. keep cool this summer in of these tie dye tank tops.